An excellent mixture of animation and real film from Rocket Films in 1984, directed by Phil Thrumbo and Steve Segal (which also plays the role of Mutchu, one of Lord Eggheads evil helpers). Segal also programmed the special effects in the endpart (using Commodore 64). The heroes of futuropolis are Captain Garth, Spud, Liutenant Luna and Cosmo. These four space cadets are sent to investigate series of mutations and destructions of peaceful worlds. The brain behind this chaos is Lord Egghead, the inventor of the "mutation ray". 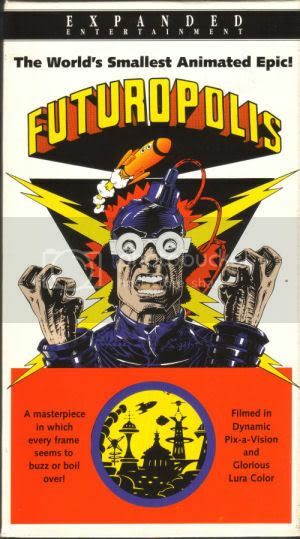 Futuropolis is an excellent movie which contains a lot of great animated effects! Last edited by pure on Mon Nov 24, 2008 12:55 am, edited 2 times in total.